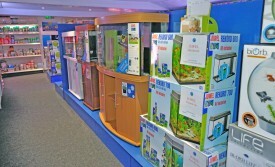 Birchwood Aquatic Centre is an independent, specialist aquatic retailer which opened in 1978. Four of our staff has each worked here for more than 25 years. We are possibly unique in that we do not have any of our fish delivered to us but collect them all from trusted suppliers; in the case of marine fish, invertebrates and many species of tropicals, picking them out individually ourselves to ensure the best possible quality. We also have a dedicated quarantine facility housing over sixty tanks where some of the more delicate species are settled before being offered for sale. We have over 100 tropical aquariums, featuring everything from the most popular community fish to rarer varieties, such as Motoro Stingrays. 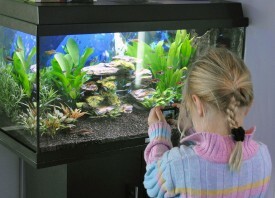 All tropical plants, whether bunched, potted or on bogwood, are displayed in aquariums, rather than a trickle system, so that customers are given a better idea of how they will look in the home aquarium. 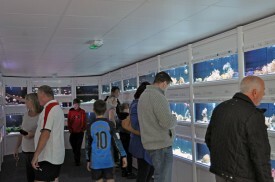 The Marine division is comprised of over 40 tanks with the invertebrate section one of the highlights of the Centre. We also have a large pond department with carefully selected pond fish, including smaller sizes of Koi and Sterlets and a wide range of pond plants, when in season, including good quality oxygenating plants. 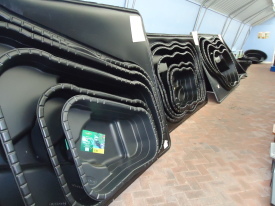 For the pondkeeper, we stock liners, rigid pools, watercourses, pond paints, pumps and filters. 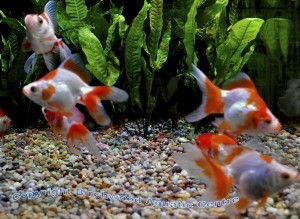 We use oxygen in all fish bags to provide as stress-free a homeward journey as possible. This also means that fish can, if necessary, remain bagged for up to 24 hours. If you are looking for inspiration, we have several display aquariums, including a freshwater Juwel set-up and a superb Red Sea Max Marine installation. Red Sea Max S-Series complete marine systems, which are exclusively available through appointed agents, we will be very happy to help. We provide R.O. 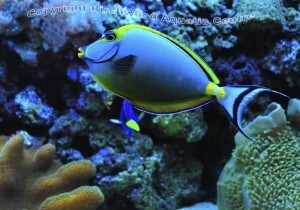 (Reverse Osmosis) water for the more discerning fishkeeper and a large range of frozen foods. Perhaps you are thinking about owning an aquarium or maybe you have been dissatisfied with the advice or products which you have been offered so far? 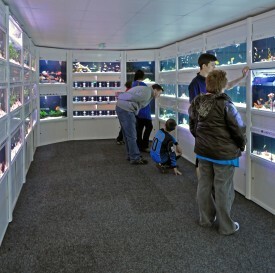 When Practical Fishkeeping Magazine visited us on their shops tour, they began their review with the words: “What a lovely shop!” and we have many customers who tell us how pleased they are to have found us.